Central to SEAF’s investment strategy is the conviction that the simple provision of risk capital to SMEs, particularly to those operating in challenging environments, is not sufficient to achieve appropriate growth in value and corresponding financial returns. The active partnering relationship with a portfolio company begins with the initial investment and continues throughout the life of the investment, and even thereafter. With extensive internal and external resources, coupled with its SME and entrepreneurship expertise, SEAF has proven its ability to serve as a valuable advisor, coach and resource partner to its portfolio companies on issues of strategic, operational, and financial improvement. With more than 100 professionals across nearly thirty global offices, SEAF provides its portfolio companies with a unique platform to grow their businesses. In addition to the local management team of a respective fund, portfolio companies will be supported by SEAF’s global platform, with experienced professionals providing the knowledge and resources desired by companies to reach the next level. SEAF brings a commitment to integrity, compliance and good corporate governance to its portfolio companies, taking an active role in working with company management to institutionalize the company’s framework for corporate governance and risk management. This effort includes formalizing the structure and activities of a company’s management team and board of directors, establishing procedures for the proper review of audits, compensation and related party transactions, and human resource policy frameworks. SEAF’s experience with portfolio companies is that most capable investee management teams still require significant additional financial expertise in order to drive their respective companies’ rapid expansion plans. SEAF dedicates the necessary resources to focus on the implementation of better financial reporting, processes and controls. This can include the recruitment of seasoned professionals to helm financial officer positions; the establishment of key performance metrics for standardized reviews; and transparent reporting of company financials. A significant differentiator in a partnership with SEAF is access to our footprint in more than 25 countries, with partner resources in many additional countries where investee companies seek to grow. SEAF is positioned to assist investee companies in focusing on scaling through acquisitions and strategic partnerships with regional and international partners. SEAF can leverage a diversified network of relationships to identify and evaluate potential opportunities and assist in the negotiation of such partnerships and acquisitions. SEAF can also leverage its sector knowledge and international capabilities to help portfolio companies drive national and/or international sales growth and may also include selective bolt-on acquisitions. A key aspect of SEAF’s value generation is its role in assisting each portfolio company with its operations. By leveraging its experience in more than 420 investments and the separate experience of its global network, SEAF can provide valuable insights into reducing cost and improving competitiveness, e.g. through business rationalizations, manufacturing process enhancement and the introduction of superior supply chain management. As companies grow, additional capital is required for staff additions, capital expenditures, marketing efforts, and more. While the first the avenues to secure such capital are through company operations or follow on financing from the respective SEAF fund, it may not meet the needs of the company to satisfy its capital needs. SEAF will work with management to identify new sources of financing; leverage relationships with local banks and provide negotiation and contracting support. 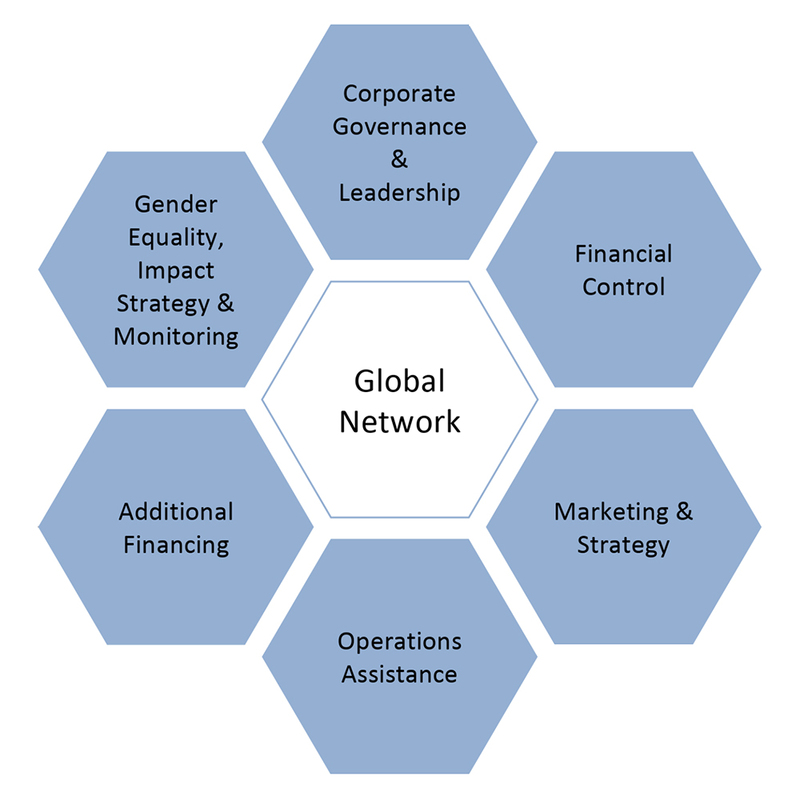 SEAF’s post-investment impact work is principally around tracking the originally projected impact for the investment and working with company management to achieve these impact objectives. This work will also identify any ongoing Environmental, Social, and Governance risks and issues to be addressed through active management and implementing best practices.